Are you trying to decide whether you should list your home now or wait until the new year? We get it — the need to sell your home doesn’t stop when the hustle and bustle of the holiday season picks up. In fact, selling during the holiday season can actually offer some unique benefits that sellers during the more active listing seasons won’t get to take advantage of. For instance, your home will have less competition during the holiday season. Your home will be more prominent to buyers looking to buy during this time, so your house could potentially sell quicker than in spring or summer, when the competition in real estate is at its peak. Plus, buyers during this time are usually serious buyers with the intent to purchase soon; they tend to have a specific reason for house hunting now, like relocation or making a purchase by year’s end for tax purposes. Plus, what better way to show your home than during a festive season? Take advantage of subtle, warm lighting and tasteful holiday decorations to make your home look inviting. Buyers will be able to imagine themselves cozying up at your home during the holidays, and consequently, could become more attached to your property. 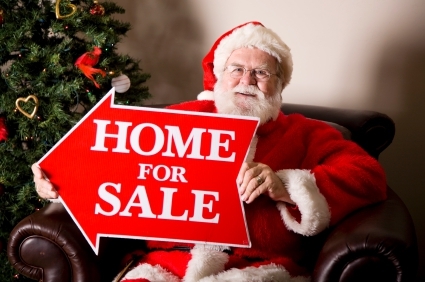 Ultimately, selling your home during the holidays is no different than selling any other time with a solid plan and an experienced real estate agent. With the Lippincott Team listing your property you’ll benefit from experience, expert advice, and sound guidance required for selling in today’s market in the Northwest Houston area. If you’d like to know more information about who we are and how we can help you sell your home this holiday season, give us a call today at 832-392-8818. We look forward to working with you!